If only I could be paid for reading, I would not have any problems working. And yes, I am yet another refugee from Goodreads. So far, I like BL. What about you? 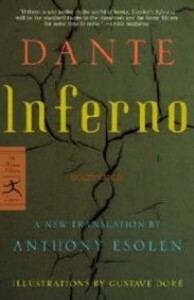 Having reviewed Dante's work elsewhere, I will restrict my comments to Mr. Esolen's translation, which is brilliant. He has translated Dante's verse into iambic pentameter, maintaining the three line stanzas, but has not gone to any great lengths to force the English to rhyme. This makes the meaning of the "Commedia" more clear in as much as the syntax is not distorted for the sake of rhyme. The vocabulary is contemporary, so there is no need to read with a dictionary handy. The end result is a reading experience that is edifying and pleasurable. Mr. Esolen has done a great service to Dante, and the English speaking world, by making the "Commedia" more accessible than other translations while preserving all the genius of the work. In spite of all this, I do prefer the Sayers translation in some ways. 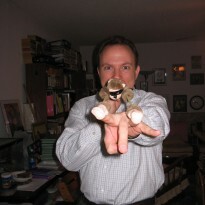 Sayers preserves the rhyming structure and uses a somewhat more archaic vocabulary. This results in a more challenging reading experience, but it is also more elegant. There are times when I like to wrestle with a text. It requires more effort, but it is almost always more rewarding. Preferring Sayers to Esolen doesn't really mean too much, though. It's like preferring Maxfield Parrish to N. C. Wyeth. There is no denying the skill, the craftsmanship, the aesthetic merit of these artists. I'm not sure there is a qualitative difference between Esolen and Sayers. This may be merely an issue of personal preference. I am grateful for both of them. The world is larger and more beautiful because of their work.The explanatory notes and supplemental reading material supplied is of great use to the reader by providing information that is critical to understanding who Dante was and what he believed. I highly recommend Anthony Esolen's translation of Dante's "Divine Comedy" to everyone who seeks to enrich their lives.